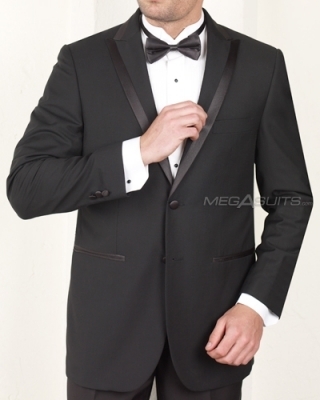 A dinner suit is something that can complete your fashion look, if you are a real clothing connesseaur. Generally these have been more in use for a more formal evening event. They are often called for when the occasion calls for black tie. These are also known as tuxedos in many parts of the world. The main component is the dinner jacket. These can often be bought as suit separates, but generally its better to get a whole suit in one swoop if you can. Mismatched pants and jackets can look out of sorts. The material is generally synthetic, and has a little more sheen than a normal suit. Its designed to be lighter and more flexible than a thick wool fabric blend, although some use a lighter wool blend. The most popular styles use a peaked lapel and a single breasted design. The pants should be the same material without cuffs. You should never wear a belt with them, using suspenders or braces only. Depending on the event, you may need to pack on some accessories as well, such as a cummerbund, suit suspenders, cufflinks and possibly even a pocket square. Of course, the black tie is a given. Don’t go for red unless you really want to stick out like a sore thumb. Most guys end up renting a dinner suit. Since most of us only end up going to black tie events so infrequently, it doesn’t make sense to buy one or have one made. If you are someone who does frequently need one, most bigger men’s stores will carry a variety. Joseph A. Banks often offers a cheap version that could fit the bill. If you have a couple events near each other, it might make sense to pick up a discounted unit. If you are looking for a higher quality setup, Brooks Brothers has a very nice selection. Getting a MTM or custom job would be quite expensive.